CIMMYT and its partners work to mitigate wheat blast through projects supported by U.S. Agency for International Development (USAID), the Bill and Melinda Gates Foundation, the Australian Centre for International Agricultural Research (ACIAR), Indian Council for Agricultural Research (ICAR), CGIAR Research Program on WHEAT, and the CGIAR Platform on Big Data. The Cereal Systems Initiative for South Asia (CSISA), in collaboration with the Bangladeshi NGO Agricultural Advisory Society (AAS), recently conducted video showings of yield-enhancing practices such as healthy rice seedling production and early wheat sowing throughout southern Bangladesh. Early wheat sowing and healthy rice seedlings are both key sustainable intensification practices in Bangladesh as early sowing helps wheat avoid terminal heat, which decreases yield, and the use of healthy seedlings ensures the rice crop has a strong start. 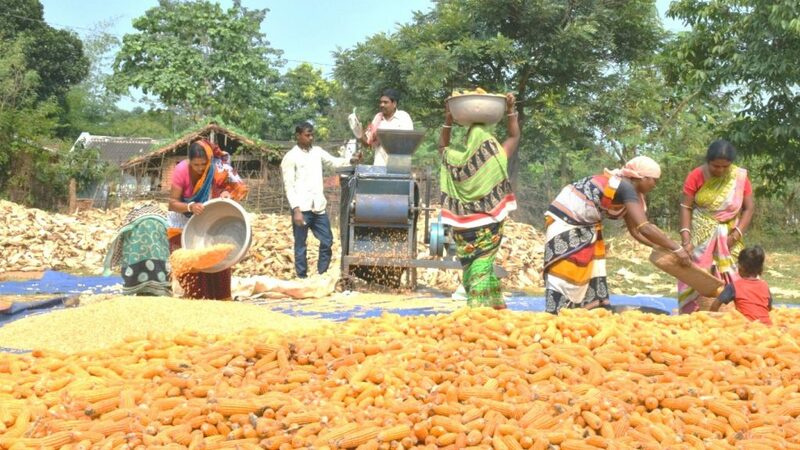 These shows were watched by a total of 110,825 farmers in 16 districts, including Jashore, Faridpur and Barishal, between October and December 2018. Earlier CSISA had used video-based messaging as a tool to increase uptake of sustainable intensification practices, and it proved to be a reliable extension tool. A follow-up study of CSISA’s 2012 and 2015 screenings of agricultural production videos showed that of the 17,736 farmers who attended the video shows and training sessions, approximately 51% continued to use better-bet agronomic management techniques to grow healthy rice seedlings on 4,700 hectares in the winter (boro) season.Many of the farmers also carried forward the practices they learned from the video shows into the 2018 monsoon (aman) season, which resulted in 9,616 hectares being brought under healthy rice seedling practices. CSISA’s survey results showed that adoption of healthy rice seedling growing techniques can be sustained if they are easily implemented, effective and productivity enhancing. At least 99% of the farmers who took part in the survey continued to use at least one practice, and others continued to implement a combination of new healthy rice seedling practices. Locations where the videos have been shown in Bangladesh. After the video screenings, audiences participated in question and answer sessions. During these interactions, farmers asked the organizers to clarify points that were unclear or to describe the benefits and costs of adopting new methods. Participants also shared other opinions or ideas that would increase the overall yield of rice and wheat. The videos will be uploaded on CSISA’s website and those of its local partners, as well as on social media. This will help farmers who were unable to participate in the screenings easily access the videos through their mobile phones from anywhere in Bangladesh. Similar video showings are planned for the coming rabi season of 2019/20 to achieve an even wider reach. K.V. 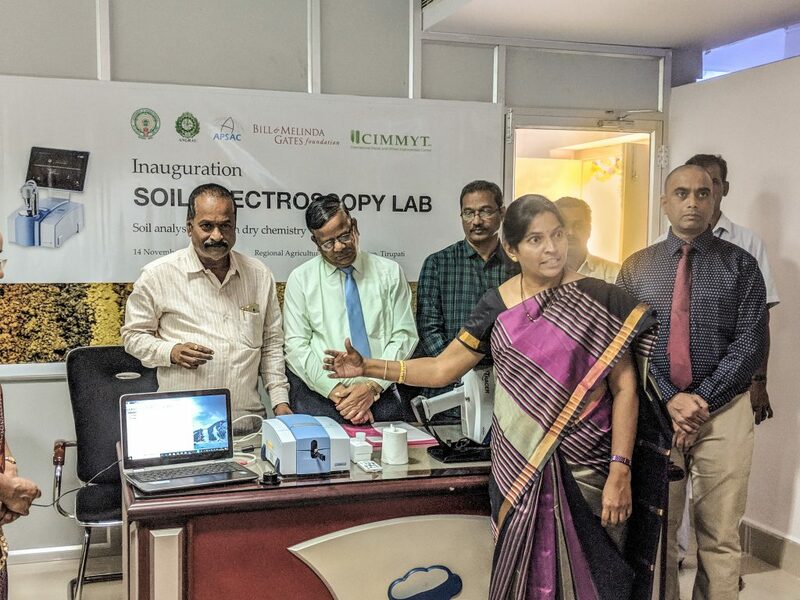 Naga Madhuri, Principal Scientist for Soil Science at Acharya N. G. Ranga Agricultural University (front), explains soil spectra during the opening of the soil spectroscopy lab at the Regional Agricultural Research Station in Tirupati, Andhra Pradesh. 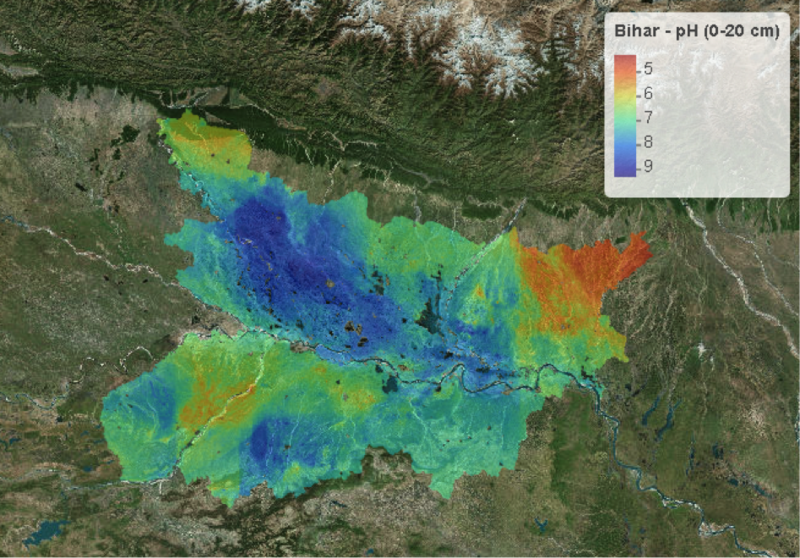 The Soil Intelligence System (SIS) for India, a new $2.5 million investment by the Bill & Melinda Gates Foundation, will help the states of Andhra Pradesh, Bihar and Odisha rationalize the costs of generating high-quality soil data while building accessible geospatial information systems based on advanced geostatistics. The SIS initiative will rely on prediction, rather than direct measurements, to develop comprehensive soil information at scale. The resulting data systems will embrace FAIR (findable, accessible, interoperable, and reproducible) access principles to support better decision-making in agriculture. The initiative aims to facilitate multi-institutional alliances for soil health management and the application of big data analytics to real-world problems. These alliances will be instrumental for initiating broader discussions at state and national levels about the importance of robust data systems, data integration and the types of progressive access policies related to ‘agronomy at scale’ that can bring India closer to achieving the Sustainable Development Goals. SIS is led by the International Maize and Wheat Improvement Center (CIMMYT) in collaboration with numerous partners including the International Food Policy Research Institute, ISRIC – World Soil Information, the state governments and state agriculture universities of Bihar and Andhra Pradesh, and the Andhra Pradesh Space Applications Center. The initiative began in September 2018 and will run until February 2021. SIS functions as a co-investment in the Cereal Systems Initiative for South Asia (CSISA) and utilizes two new soil spectroscopy laboratories that were recently set up in Andhra Pradesh and Bihar under CSISA in collaboration with the respective states’ departments of agriculture. One laboratory is now operating at the Regional Agricultural Research Station in Tirupati, Andhra Pradesh, the other at Bihar Agricultural University (Sabour) in Bhagalpur, Bihar. Spectroscopy enables precise soil analysis and can help scientists identify appropriate preventive and rehabilitative soil management interventions. The technology is also significantly faster and more cost-effective than wide-scale, wet, chemistry-based soil analysis. The SIS Initiative will also review options for incorporating digital technologies such as route planning and QR coding approaches into the programming of state partners and will assist our partners to adopt digital technologies to enhance soil sampling and analysis operational efficiencies. Farmers will be the primary beneficiaries of this initiative, as they will receive more reliable soil health management recommendations to increase yields and profits. The initiative will also be useful to state partners, extension and agricultural development institutions, the private sector and other stakeholders who rely on high-quality soil information. Through SIS, scientists and researchers will have an opportunity to receive training in modern soil analytics, and combine mapping outputs with crop response and landscape reconnaissance data through machine-learning analytics to derive precise agronomy decisions at scale. The Central Government of India has invested US$ 148.74 billion in the fiscal year 2017–18 to support agricultural development in the country. However, these investments are often unable to target the most relevant needy areas or populations due to lack of concrete evidence of their effectiveness. 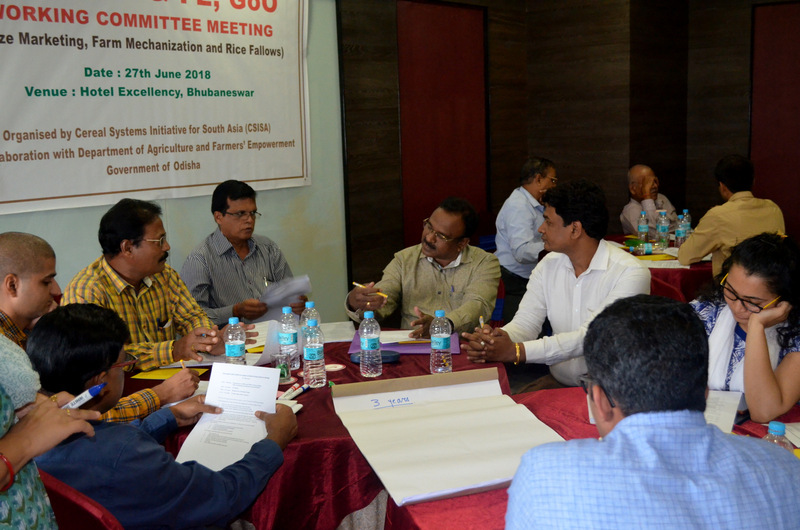 To support the inclusion of scientific evidence in policy-making processes, CSISA discussed with the Government of the state of Odisha the need for co-generating evidence and for its endorsement to launch a policy experiment on rice-fallow intensification and mechanization options during the 2018–19 Rabi season. The policy experiment will entail offering different combinations of incentives for service provision, irrigation facilities and for giving farmers access to credit. These experiments will be supplemented with baseline and endline surveys to gather data on the impacts of the interventions. Rice-fallow intensification was the first priority raised by the incoming ICAR Director General, Dr. T. Mohapatra, in discussion with the CSISA leadership team in March 2016. A strategic meeting with a team of policy makers and other decision makers at the Department of Agriculture and Farmers’ Welfare, Odisha, held on 24 November 2016, identified behavioral constraints to rice-fallow intensification and mechanization as two core themes for working closely with the department and allied institutions. Since the Odisha Government invests heavily in mechanization (~US$ 50 million in 2017) in the form of direct subsidies and support to agri-service entrepreneurs, CSISA’s engagement with the Government of Odisha aims to capitalize on this opportunity by helping the State Departments of Agriculture sharpen their support programs by better targeting subsidies that do not crowd out private investments but do encourage the development of markets and machinery value chains. Following up on discussions with the Government, CSISA conducted two behavioral evidence-generating studies in Kharif 2017. First was a participatory cognitive mapping exercise in which farmers and other stakeholders drew a map of their imagined farming systems; at the same time, CSISA sought their perspectives on ways to overcome constraints to double cropping. Second, using the key outcomes from the cognitive mapping exercise, CSISA conducted an experiment to elicit individuals’ investment preferences, as well as their commitment to community funding for key intensification parameters such as irrigation, credit, timely harvesting and marketing, and cropping systems. On the mechanization front, CSISA conducted a survey on potential mechanized services and the entrepreneurial behavior of service providers. Data from this survey were used to analyze the scope for introducing incentivization in local machine service provision. Findings from these studies were presented to the relevant stakeholders within the Government of Odisha, including the Principal Secretary of the Department of Agriculture. CSISA now plans to design an integrated policy experiment that considers multiple leverage points that encourage farmers to consider double cropping and mechanization (investment options, institutional facilitation and incentivization in service provision) to be piloted during the coming Rabi season in Odisha. This proposed experiment is expected to determine the key factors that make farmers keep fields fallow and the policy incentives required to encourage potential entrepreneurs to become machinery service providers. The opportunity and apparent need for mechanization and cropping intensification in these expansive ecologies is clear, particularly given the diminished yield in the “breadbasket” areas of northwest India, the lack of major genetic breakthroughs that increase the yield potential of staple crops and the prevailing labor constraints. Lessons from the experiment are expected to help identify the agricultural policy changes at the State Government level that are needed to boost crop production and intensify the cropping systems. 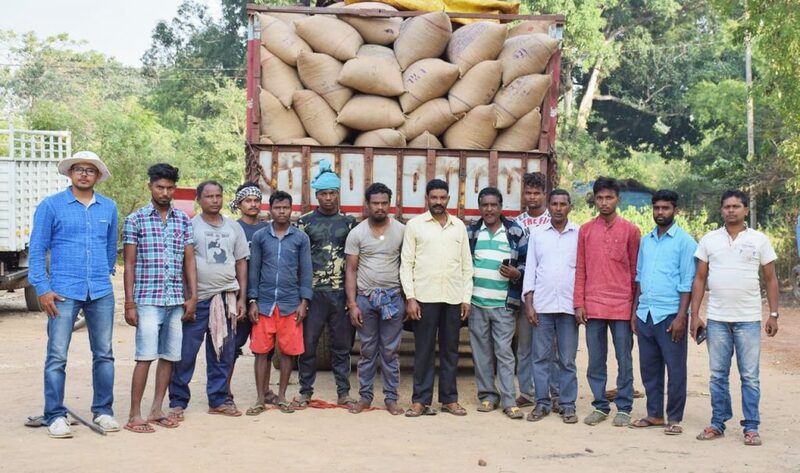 This collaborative arrangement between the State Department of Agriculture, Odisha and CSISA is also notable because the State is a key partner in generating evidence as well as in facilitating adoption. CSISA is collaborating with the Wheat Research Centre (WRC) of the Bangladesh Agriculture Research Institute (BARI) to develop a model for identifying wheat blast resistant varieties and approaches to mitigate the disease. In 2017, a blast resistant, zinc-enriched variety, BARI Gom 33, was released. This variety was validated in last year’s blast-affected farmers’ fields, and field days were organized to demonstrate its resistance to farmers, government organizations, NGOs and private sector companies. Most field day participants indicated that they liked BARI Gom 33, and farmers were advised to preserve its seed. The first-ever outbreak of wheat blast outside South America, where it was first reported, was recorded in Bangladesh in February 2016. This is a fearsome fungal disease caused by Magnaporthe oryzae pathotype Triticum (MoT), that now affects over 15,000 hectares in seven southwestern and southern districts of Bangladesh. The estimated average yield loss is 25–30%, but in severely infected fields, total losses have also been observed. 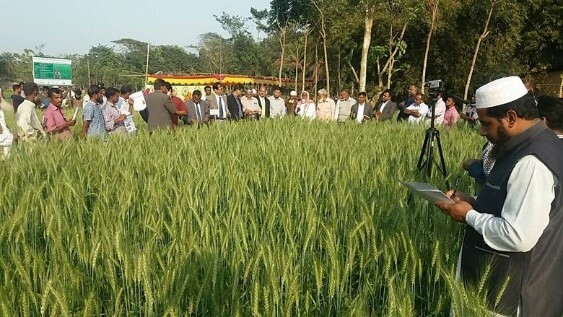 The Ministry of Agriculture of Bangladesh officially announced the presence of wheat blast on 27 March 2016, and formed a technical sub-committee including CIMMYT to create an action plan to mitigate the disease. An international consultative meeting was held in 2016 in Kathmandu, Nepal, and in 2017 in Dhaka, Bangladesh, to plan short-, medium- and long-term strategies to mitigate the disease. International training courses for wheat scientists from India, Nepal and Bangladesh were organized at the Wheat Research Centre (WRC), Dinajpur, and the Regional Agricultural Research Station (RARS), Jashore, in 2017 and 2018, respectively. Field surveillance was conducted through CSISA in partnership with USAID and the Bill & Melinda Gates Foundation. Recommendations were presented to farmers in a factsheet through government, NGO and private sector partners in 2017 and 2018. Recommendations included early seeding to help crops avoid high temperatures and early rains at heading, collection of seeds from blast-free areas, seed treatment, cultivation of resistant varieties, preventive foliar spray at heading and 12–15 days after heading, weed-free cultivation and rotation with non-wheat crops. Wheat blast-affected areas in 2017 and 2018 shrank to only 22 and 16 ha with low, sporadic infection due to farmers adopting the recommendations and climate conditions that were less favorable for blast spread. However, trace infection was found in three new areas in 2017 and two new areas in 2018, outside districts infected in previous years. This indicates the ongoing spread of the disease and its adaptability to new environments, underscoring the potential for its spread. Symptoms of wheat blast infection were also found on Digitaria, Eleusine indica, and Panicum repens, common weed species found throughout Bangladesh, but research is underway to confirm whether spores from these species can infect wheat and vice versa. WRC and BARI, in collaboration with CIMMYT, will undertake a seed production program in farmers’ fields in the coming season and will distribute the seed to farmers. Wheat blast surveillance work was conducted in 2017 and 2018, and laboratory confirmation is underway at WRC/BARI laboratories, with the support of CSISA. Blast mitigation trials have continued in 2018 at a hot spot in RARS, Jashore. Out of 25 advanced lines, 7 were found to be resistant (<10% disease index). Out of 408 germplasm lines, seven (including Borlaug 100) had zero disease index and 164 were resistant (<10% disease index). A seeding experiment showed that there was no disease in six new varieties, including susceptible BARI Gom 26, which were sown on 25 November and 5 December. However, on BARI Gom 26 planted on 4 January, seeding disease severity was >85%. The effectiveness of seed treatments and foliar spray fungicides was confirmed by the 2018 results. In 2015, the Government of Nepal endorsed a new 20-year Agriculture Development Strategy (ADS), which recognizes the need for new science-led innovations, crop diversification options for income generation, strong seed and fertilizer input systems, mechanization to cope with outmigration and an aging agricultural workforce, and enterprise development to create new jobs and extend essential support services to large numbers of farmers. In support of these priorities, CSISA works with partners who can help to rapidly and broadly increase the adoption of sustainable intensification technologies at scale. 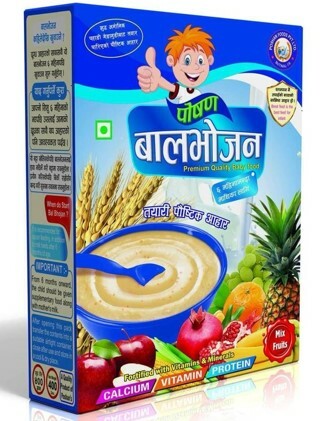 The Prime Minister’s Agriculture Modernization Project (PMAMP), launched in 2016 to help implement the ADS, is designed to enhance productivity and commercialization of major cereals, fish, fruits and vegetables over the next decade. The PMAMP has laid out a structure comprised of super zones (commercial areas of more than 1,000 ha), zones (areas over 500 ha), blocks (over 50 ha) and pockets (over 10 ha). These are defined areas across the country that receive government support to produce certain crops intensively. CSISA has been working closely with PMAMP from its inception by providing technical backstopping at the central and local levels for the wheat, maize, rice and farm mechanization programs. CSISA sees PMAMP as a key mechanism for scaling up sustainable intensification technologies in Nepal. CSISA has helped PMAMP form working groups and hold forums to facilitate discussion and spark collaboration among stakeholders in Nepal. In July 2017, CSISA and PMAMP jointly held a national-level wheat working group forum aimed at unifying and coordinating the efforts of 21 public and private stakeholders working on research, extension and private sector development for wheat in Nepal. The forum emphasized the need to identify proven best practices for sustainable intensification of wheat, explored possible pathways for scaling knowledge and technological innovations, and identified knowledge gaps and areas for future research. Energized by this successful wheat working group meeting, PMAMP took the lead and organized a similar meeting for maize. A rice forum was held with CSISA’s support in December 2017, followed by a subsequent meeting organized with the rice super zone in Jhapa, Eastern Nepal, in May 2018. In February 2018, CSISA and PMAMP held a mechanization forum. Seeing consistent results, PMAMP has now established similar forums and guidelines for other commodities such as fish, tea, coffee and potato. In addition to the forums, CSISA has provided technical guidance on planning seasonal activities to PMAMP staff, and has facilitated cross-learning events and “train the trainers” courses for super zone and zone technicians and operational committees on how to implement and out-scale sustainable intensification technologies. CSISA has also developed training materials, educational videos and other extension materials for utilization by the cereal and mechanization programs. PMAMP has asked CSISA to help formulate joint plans at the pocket, block, and zone levels in different districts. Many technical training sessions have also been held, focusing on the best maize management practices, scale-appropriate mechanization, mechanized weeding, seed drill operation and calibration, precision nutrient management, mechanized harvesting, integrated weed management and safe handling of herbicides. This initiative has been useful not only for institutionalizing CSISA’s innovations and findings, but also for designing market-oriented approaches for our private sector partners. With continued technical backstopping and support on developing seasonal work plans from CSISA, PMAMP will carry out agronomic interventions for cereal cropping systems in CSISA’s working domain. In India, the Krishi Vigyan Kendra (KVK) network was established in 1974 to serve as district-level “farm science centers” tasked with conducting on-farm tests of agricultural technologies, implementing frontline demonstrations, conducting need-based training programs, serving as local knowledge centers and supporting the marketing of locally relevant agricultural technologies. The KVK system, now comprising 680 KVKs, is overseen by the Indian Council of Agricultural Research (ICAR) and administered by a group of 11 agricultural technology application research institutes. The KVK is the largest countrywide network that caters to the needs of researchers from state agricultural universities and ICAR institutes and provides field-level extension for the Department of Agriculture in each state. 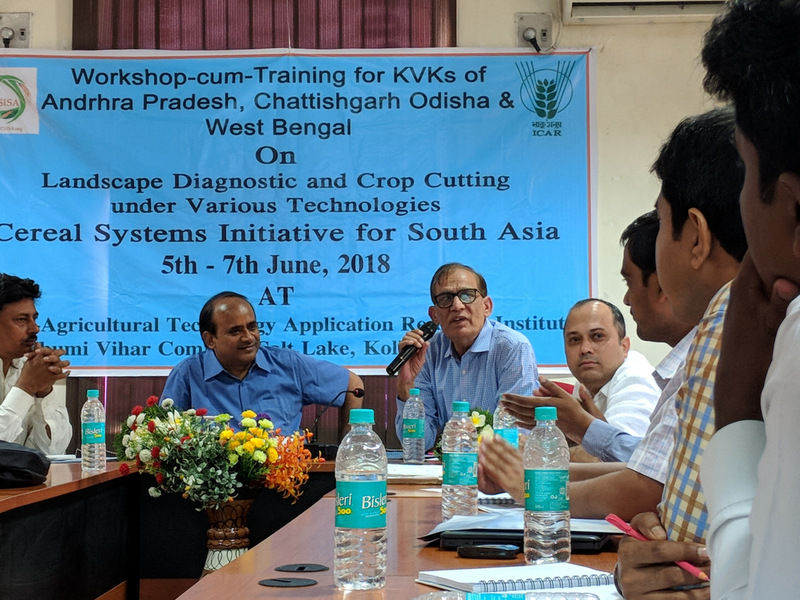 Since 2015, CSISA has worked with KVKs in Bihar, eastern Uttar Pradesh and Odisha to test and modify locally relevant technologies and help integrate successful technologies into the government’s official package of practices for each state. In the Eastern Indo-Gangetic Plains, a region marked by low cereal productivity, small farm sizes and resource-poor farmers, CSISA and its KVK partners strive to intensify cereal-based cropping systems by facilitating the adoption of better-bet agronomic management practices such as zero tillage, early wheat sowing, timely establishment of rice, hybrid rice and maize, and crop diversification. CSISA, national agricultural research and extension system (NARES) institutes, KVKs and the Department of Agriculture are working to increase the availability of scale-appropriate machinery in rural areas so that entrepreneurial farmers can develop service provision businesses. As an example, in each of 25 KVKs, Bihar Agricultural University, Sabour, is facilitating the establishment of 10 service providers who will raise and market rice nurseries to local farmers. To date, CSISA’s programming and partnerships have facilitated the emergence of nearly 4,000 service providers in the project’s working domain. In 2018, CSISA launched a new capacity-building partnership with 50 KVKs, and trained their staff to conduct a landscape diagnostic survey, a tool that helps KVKs identify which technologies would be most likely to succeed in their geographic domains. KVK teams were taught how to use an Open Data Kit (ODK), an Android-based mobile data collection tool that increases the speed, efficiency and quality of data collection in the field. Once data are in hand, ODK also enables faster data analysis and visualization. In June, CSISA and its KVK partners launched a landscape diagnostic survey in 50 KVKs. The survey will run through October, ultimately covering 10,500 farmers this year, and is expected to be repeated beginning in January 2019. Survey data collected by the KVKs will help research organizations like the state agricultural universities and ICAR institutes, and state extension agencies like the Department of Agriculture, jointly develop investment strategies and implementation plans that address the needs of multiple stakeholders. 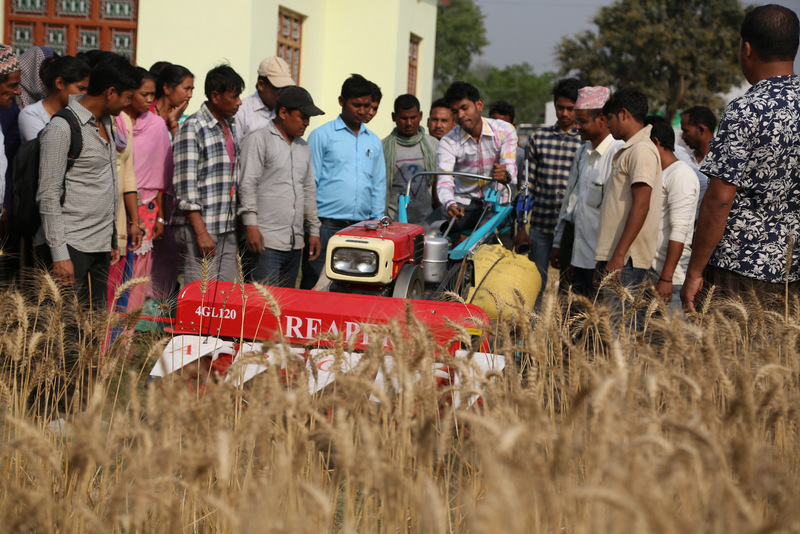 Innovative partnerships such as the ones between CSISA, NARES (including the KVKs) and the private sector, serve as a necessary accelerant for the adoption of scale-appropriate technologies and the intensification of cereal-based cropping systems in India. Rigorous surveys and the sharing of analytical results will serve as important milestones in the overall capacitation and transformation of the KVK system. To promote awareness about raising healthy rice seedlings, CSISA developed a dynamic solution – it introduced seedbed technology, an innovative technique for raising seedlings. Rice farmers in Bangladesh have long employed traditional methods to grow transplanted rice. They often use inferior quality seed and high seed rates that negatively affect the quality of seedlings. These seeds are susceptible to disease and contribute to lower yields. To reduce the yield gap, CSISA began raising awareness about healthy seedlings by promoting the use of seedbed technology. Seedbed technology has considerable advantages. It facilitates better seed management and ensures quality seedlings. Growing healthy rice seedlings can increase effective tillering, which enhances yield up to 10%. Stronger seedlings have better disease resistance, which benefits farmers. CSISA typically raises awareness among farmers through five major activities – using mass media, distributing booklets on techniques for raising healthy rice seedlings, hands-on training of trainers on healthy rice seedling production methods, encouraging young entrepreneurs to start seedling businesses to grow and sell healthy rice seedlings to farmers, and scaling-out healthy seedling raising practices through networks of development partners. 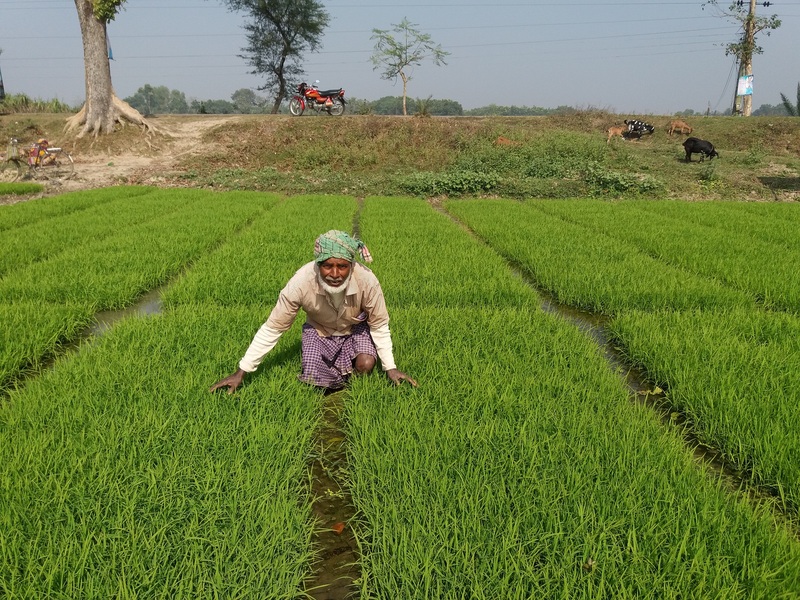 CSISA developed a short 10-minute farmer-friendly video in Bangladesh on practices for raising healthy rice seedlings in the 2016–17 winter Boro and summer Aman seasons. 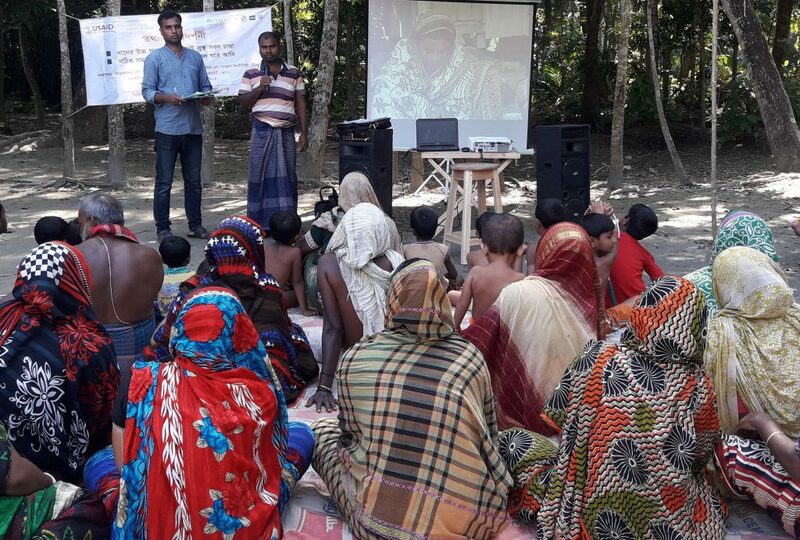 It partnered with a national NGO, the Agricultural Advisory Society, to carry out 498 video showings during the 2016–17 winter season and at 265 events during the 2017 summer season for farmers in open-air public gathering places, community centers and markets across Jessore and Faridpur Hubs. A total of 37,117 viewers were registered in the winter season and 17,736 in the summer season. Taking into account unregistered audience members, the total number of farmer/viewers was estimated at approximately 110,000 across both seasons. Informative booklets on the subject were developed and distributed by CSISA to 1,500 field-level master trainers of the Department of Agricultural Extension (DAE) and 33,000 farmers through 3,000 input dealers in the Feed the Future zone. In total, 612 block-level DAE staff and 80 NGO field workers were trained on healthy rice seedling raising practices. Through CSISA’s initiatives, 41 entrepreneurs who were already running seedling businesses and six new entrepreneurs were trained on advanced healthy rice seedling agronomy and business management skills. In winter 2016-17, 95 community-based seedbeds were established across Jessore, Faridpur and Barisal Hubs by 1,092 farmers working with DAE and NGO partners. However, funding shortfalls forced the suspension of these activities starting in the 2017–18 winter Boro rice season. CSISA conducted a follow-up survey of farmers, which revealed that farmers who had previously watched the videos had continued to adopt healthy rice seedling practices this year, even without CSISA’s intervention. Survey results indicated that of the 17,736 farmers who viewed the video shown by CSISA and partners prior to the 2017 summer season, 51% continued to use healthy rice seedling practices to grow their crops in the 2017–18 winter season. The average size of plots where healthy rice seedlings were transplanted was 0.52 ha, indicating sustained adoption on more than 4,704 hectares in the Feed the Future zone. CSISA-driven initiatives using videos and booklets have been tremendously impactful, as evidenced by the number of farmers who retained the core messages and continued to apply healthy rice seedling practices long after they viewed the video. Nepal struggles with labor shortages in agriculture, particularly due to the out-migration of laborers who move in large numbers to India and Gulf countries to work. These shortages have increased labor wage rates and the cost of cereal crop production. In response to these constraints, and to try to reduce drudgery and increase profits associated with farming to make agriculture more attractive to young people, CSISA has been facilitating the uptake of the reaper, which can increase the speed, improve the timeliness and reduce the labor costs associated with harvesting cereal crops like rice and wheat. Reaper attachments can be front-mounted on the many different two-wheel tractor models available in Nepal, making it relatively affordable for farmers. Fifteen years ago, a few reapers were sold in central Nepal, but prior to CSISA’s interventions, reapers were not available anywhere in the Feed the Future zone, which constitutes much of the far and mid-west development regions. In 2014, CSISA and its public and private sector partners began to demonstrate reapers in farmers’ fields, starting with a stock of 20 reapers. Demonstrating the functionality and benefits of the reaper across different Feed the Future districts generated rapidly increasing demand among farmers and service providers. 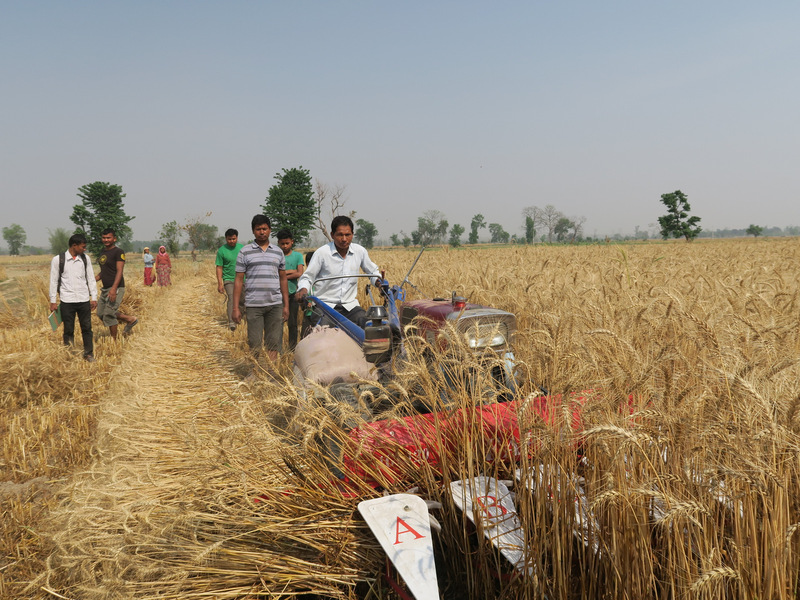 To ensure the machines were available at the local level in the areas where reaper uptake was being facilitated, CSISA worked with private sector suppliers and the Nepal Agricultural Machinery Entrepreneurs’ Association (NAMEA) to ensure larger stocks of reapers were available in an uncertain market and greatly multiplied reaper field demonstrations. Towards the end of 2016, reaper importers’ district sales agents began to capitalize on farmers’ increasing interest in reapers by holding their own farmer field days, focusing their efforts on the 2016 rice harvest. With CSISA’s technical support, NAMEA and its members conducted more than 50 demonstrations in 2016. 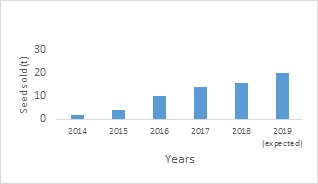 As a result of the multiplying effect of private sector participation, starting from near zero purchases in 2014, by the end of 2016 farmers in the Feed the Future zone had purchased 678 reapers. In early 2017, CSISA boosted reaper adoption in Nepal by increasing the range of stakeholders they support. CSISA facilitated innovative partnerships between the private and public sectors so that public extension agencies (such as the Department of Agriculture and the Prime Minister’s Agriculture Modernization Project) partnered with local agents to conduct even more farmer field days. For example, CSISA provided training to farmers who purchased a reaper to enable them to become service providers, thereby increasing the number of farmers who had access to reaper services and the amount of land under reaper harvesting. Each reaper owner provided harvesting services to 10 farmers on 10.5 ha of rice and wheat area in the Feed the Future zone. Also in 2017, District Agriculture Development Offices and the Prime Minister’s Agriculture Modernization Project began providing subsidies on reapers and conducting their own demonstrations. As commonly occurs when machinery adoption spreads, the availability of spare parts and repairs for reapers lagged behind sales. To address this problem, CSISA, the Nepal Agriculture Research Council and private sector companies provided reaper repair training to district sales agents’ mechanics, as well as small grants (US$ 200 worth of “pre-positioned” reaper spare parts) to certain agents/mechanics in the far and mid-west region to seed the market. A 2017 CSISA survey of reaper adopters in the Feed the Future zone indicated that, compared with manual harvesting, reapers increased average farm-level profitability by US$ 120 when used for harvesting both rice and wheat. Reaper adoption also relieved families of having to find and manage work teams during harvesting periods, an activity that farmers typically found stressful. Reapers also gave farmers the opportunity of becoming entrepreneurs by turning their reapers into a small business. As of March 2018, traders in the Feed the Future zone have sold the vast majority of their 2,197 reapers, representing total sales of approximately US$ 1.2 million. In the 2017 rice and 2018 wheat seasons, farmers harvested around 11,000 hectares of rice and wheat using reapers. Just prior to the 2018 sales season for reapers, importers reported that they had over 300 reapers in their warehouses; to date, farmers have purchased almost 70% (200 pieces). Interestingly, more than 95% of service providers purchased reapers without any subsidy, which indicates a willingness to take risks and an expectation of success. In response to the increased demand, the number of importers increased from four to seven between 2016 and 2018. Given that sales almost doubled in each of the last three years, optimism abounds about the potential for reaper scaling in Nepal. CSISA has launched a new video highlighting the value of scale-appropriate mechanization and the benefits of service provision in Nepal. Featuring farmers who have adopted technologies such as seed drills, power tillers, mini tillers and reapers, the video highlights that mechanization can save time and costs and reduce drudgery. Participating farmers also point out that extra income can be made from becoming a service provider and that this extra income can help reduce incentives for Nepal’s youth to go abroad looking for work. Yogendra Chaudhary says that since he and his son are able to make money through service provision, his son decided to remain in Nepal to work on the family’s farm instead of seeking employment abroad, and that the machines allow them to remain together, work together and prosper together. Sutra Media Works and the CSISA team hosted video showings in four of CSISA’s working domains so that farmers, potential service providers, self-help groups and Nepal government representatives could see the film, ask follow-up questions and discuss locally relevant issues raised by the video. These community video showings were preceded by farmers’ field days and demonstrations of sustainable intensification technologies, and were followed by question and answer sessions. Shown in Baridya, Dang, Kailali and Kanchanpur districts with 296 attendees (including 72 women), the video was well received and generated discussion about the following preconditions for mechanization to spread broadly: (1) increased awareness of agricultural technologies and their providers at the local level, (2) technical training on how to use the equipment, (3) availability of spare parts and repairs for fixing machines, and (4) mechanisms to make the cost of technology and services affordable for farmers. Attendees included farmers, service providers, machinery traders and public sector representatives from the Nepal Agricultural Research Center, as well as the Prime Minister’s Agriculture Modernization Project, representatives from the Wheat and Rice Zones and “Super Zones.” CSISA is currently sharing the video with relevant governmental and non-governmental agricultural programs, as well as with relevant video sharing websites and broadcast and cable TV outlets, to broadly disseminate important messages about mechanization and service provision throughout Nepal. Machine learning (ML) allows software applications to become more accurate in predicting outcomes with increased use. ML involves building algorithms that can predict an output value within an acceptable range. CSISA generates numerous scientific datasets on crop production practices and agronomic field trials, but generating frequent and valid results from these thousands of observations is a challenge. ML tools can help. CSISA organized a five-day workshop in Odisha to train CSISA scientists from Bihar, eastern Uttar Pradesh (EUP) and Odisha in the use of ML tools – based on the open-source statistical computing and graphics software, ‘R,’ – to analyze CSISA’s crop cut and production practice survey datasets. Each year, CSISA generates data from multi-location adaptive trials, production practice diagnostic surveys and a few other targeted needs-based surveys in Bangladesh, India and Nepal. These datasets are used to determine the most important yield attributing factor(s), information that could help policymakers target and refine recommendations and advisories. ML allows us to draw quick, accurate and valid results from these datasets. 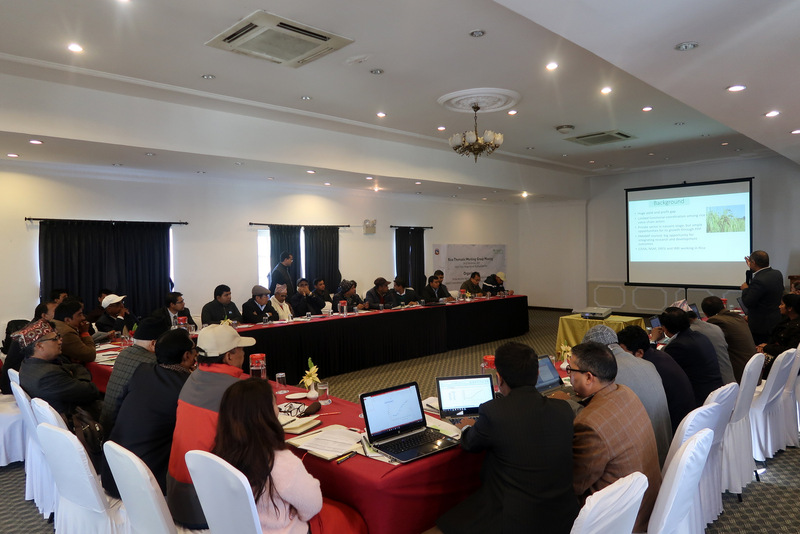 Under the leadership of CSISA-Nepal’s Socioeconomist, Gokul Paudel, participants jointly reviewed production practice survey datasets, cleaned the data, applied relevant analytical tools and generated results. The group started by reviewing basic statistics and R-software, the rationale behind ML and algorithms such as classification and regression tree (CART) and random forest models. 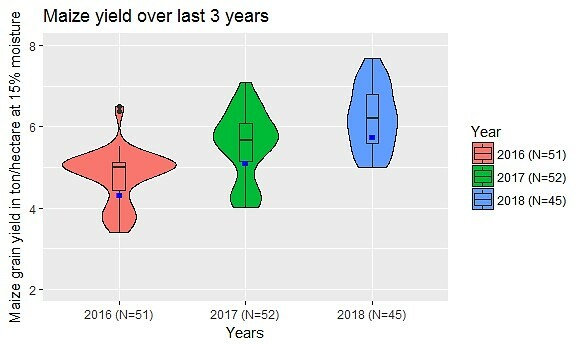 Using R, participants checked data summary statistics and visualized in histograms, boxplots, scattered plots and correlation plots. With CART, the participants produced graphical results by chronologically classifying covariates in terms of their possible predictive roles in a particular outcome. CART showed that sowing date is the most important factor in determining wheat yield in Bihar and EUP, followed by crop establishment method, amount of nitrogen applied and number of irrigations. Participants also used the random forest model, which is more robust in terms of training and validation performance because multiple decision trees, based on different characteristics, are built. Results also identified sowing date as the most important factor, also matching CART results for other covariates determining wheat yield. These ML results provide sufficient evidence of the role of sowing date in wheat yield in UP and Bihar, which has also been documented earlier by CSISA. 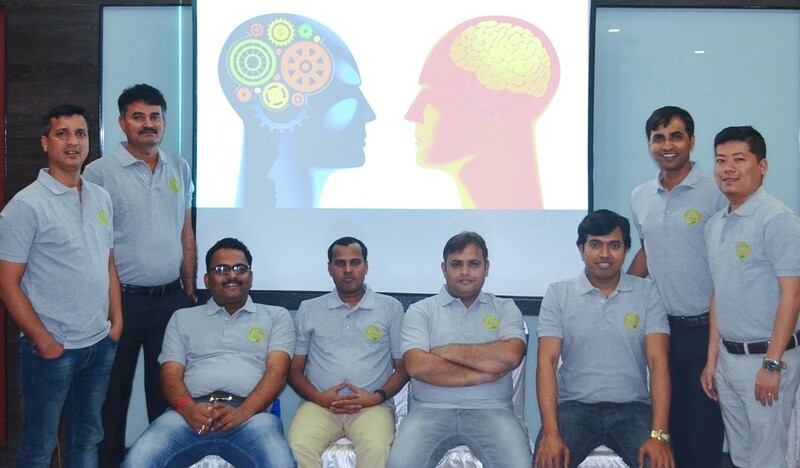 This team of CSISA scientists successfully analyzed and visualized data with modern statistical tools and gained confidence to consistently undertake robust diagnostic surveys and collaborative research trials, as well as generate location specific insights, discuss these insights with partners and inform decision makers at relevant levels. All publications, along with full datasets, will be made available to the public through open source channels. The custom hiring of labor- and cost-saving agricultural machinery services is increasingly common in South Asia. With agricultural machinery, gender gaps exist not only in the use of these technologies, but in farmers’ ability to rent and hire them. agricultural machinery service-provision in Bangladesh, the Gender, Climate Change, and Nutrition Integration Initiative (led by IFPRI), CSISA and CSISA-MI partnered to conduct qualitative research in Faridpur and Jhenaidah districts in October–December 2017. The team interviewed husband and wife machine service providers, men and women who hire machines for their farms, women farmers in non-mechanized farming households, and CSISA staff and community leaders. Researchers focused on machinery services for multi-crop reaper-harvesters, which enable farmers to rapidly cut crops during harvest. Service providers running reaper businesses often hire skilled machine operators to harvest farmers’ fields. Women and men in the study identified multiple benefits of hiring reaper services, including the reduction of drudgery, the ability to pay for services after receiving them (unlike when they hire laborers, whom they have to pay up front), the time saved during crop harvesting, and the cost savings associated with using a machine rather than laborers who need to be housed and fed. Unfortunately, women were found to face multiple barriers to running reaper-based service provider businesses, including: cultural norms preventing them learning about machines from men, lack of capital for investing in machines, fewer connections to help them advertise machine services, an unwillingness among men to operate machines for women, and a lack of family and community support for women who want to work outside the home. Despite these gender-based constraints, many women still expressed interest in participating more or starting their own reaper service provision business. The following approaches can help close gender gaps in reaper-based business ownership: models that allow joint machine ownership and provide training to men and women equally; leveraging women’s networks to expand their potential client bases; well-targeted, smart subsidies that make machine procurement more accessible for women; encouraging savings and loan associations to provide credit to women; models of group-based machine ownership; mobile phone-based payment options for clients; and sensitizing men to women’s contributions to service provision businesses. Clearly, women benefit from managing and sometimes owning machinery services, as well as from the direct and indirect consequences of hiring such services to harvest their crops. However, a number of technical, economic, and cultural barriers still constrain women’s full participation in these benefits. 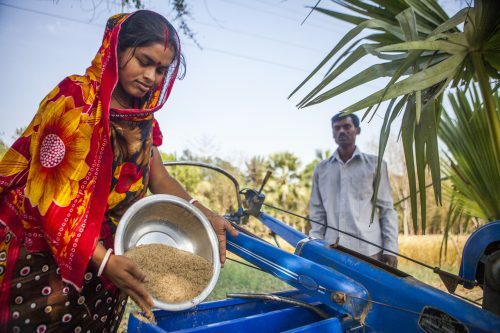 Initiatives that promote rural machinery services should more fully engage women as business owners and users of machinery to expand the benefits of these markets throughout South Asia and other farming geographies dominated by smallholders. 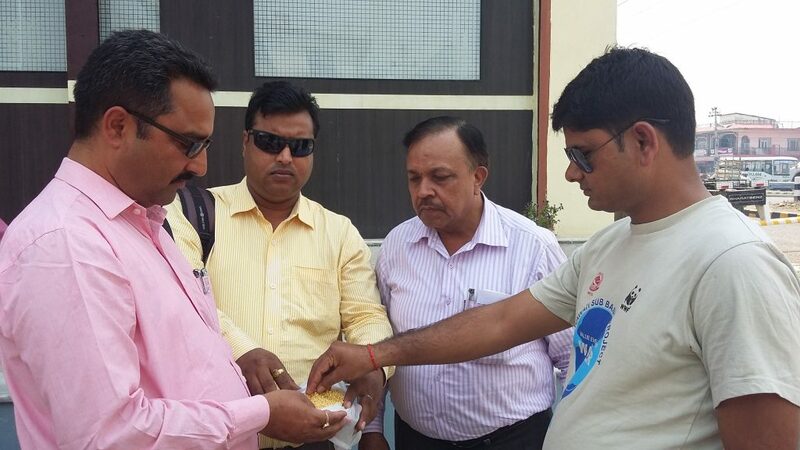 Bihar Agricultural University (BAU), in collaboration with CSISA, launched a new Soil Health Card in Bihar in February 2018. The Indian Government’s Soil Health Card scheme was launched in 2015 to provide 130 million Indian farmers with a ‘soil report card,’ issued once every two years. Soil health cards reflect indicators of soil health, as determined by a lab-based analysis of soil samples from each farmer’s field. The card also recommends corrective measures to improve the soil, if needed. The scheme’s objective is to help farmers improve soil health and productivity through the judicious use of chemical fertilizers, organic manures and bio-fertilizers. To make the cards more user-friendly, the Krishi Vigyan Kendra (farm science center) system, with support from BAU and CSISA, studied the soil health card’s strengths and weaknesses, as well as farmers’ experiences in trying to interpret the results and implement the recommendations. Results indicated that farmers face significant challenges in applying laboratory data to their field crops. Therefore, the KVKs, BAU and CSISA agreed to redesign the card. In 2017, CSISA researchers also conducted soil health card user tests with farmers in Bihar and Odisha, soliciting detailed feedback on the card’s content and ease-of-use. Researchers found that although farmers valued the cards because they perceived the content to be useful, they struggled to understand the information due to a confusing format, overly scientific terminology and insufficient inclusion of images. This farmer feedback was presented to scientists at BAU in late 2017 and early 2018. Based on this feedback, BAU scientists endorsed a proposed new design. The redesigned the soil health card aims to improve farmers’ ability to absorb, interpret and use the recommendations included on the card. The new card was written in the most common regional language and featured additional symbols and images to help farmers understand and interpret the contents, hopefully also making it easier for them to implement the recommendations. 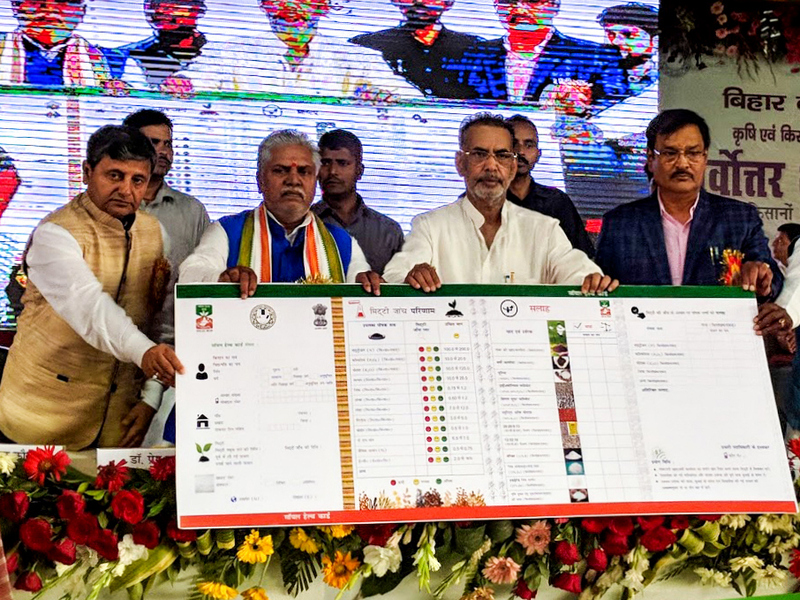 On February 24, 2018, the Union Minister of Agriculture and Farmers’ Welfare launched the redesigned soil health card at a regional Kisan Mela (agriculture fair) organized by BAU. The Bihar Minister of Agriculture and the Vice Chancellor of BAU facilitated the release of the new soil health card. The success of the soil health card scheme depends not only on whether India’s network of soil chemistry laboratories can keep up with the dramatically increased demand for soil analysis, but also on whether the soil health cards can effectively influence farmers’ decision making. Following distribution of the revised soil health cards to farmers in Bihar, CSISA intends to conduct follow-up surveys to determine whether the new design has increased farmer comprehension and implementation of the recommendations, or whether further innovation is required. Additional initiatives can also be undertaken in CSISA’s other priority geographies, including Odisha and Andhra Pradesh. In India, a wealth of soil analytical data are generated by soil sampling programs such as the All India Soil Sampling Program and the Soil Health Card scheme. These rich data assets allow scientists to use state-of-the-art technologies and methods to produce digital maps of key soil fertility parameters that can support bringing soil fertility recommendations to scale. Digital soil mapping (DSM), defined as the ‘computer-assisted production of digital maps of soil types and soil properties,’ makes use of (geo)statistical models that predict the soil type or property from a limited number of soil observations from a sample data set for locations where no samples have been taken. These ‘unsampled locations’ are typically arranged on a regular grid, i.e. DSM produces gridded (raster) soil maps at a specific spatial resolution (grid cell or pixel size) with a spatial prediction made for each individual grid cell. Adopting DSM methods, combined with intelligent sampling design, could reduce the strain on the soil testing system in terms of logistics, quality control and costs. Improving digital soil mapping practices can also help create the infrastructure for a soil intelligence system that can drive decision-making at scale. 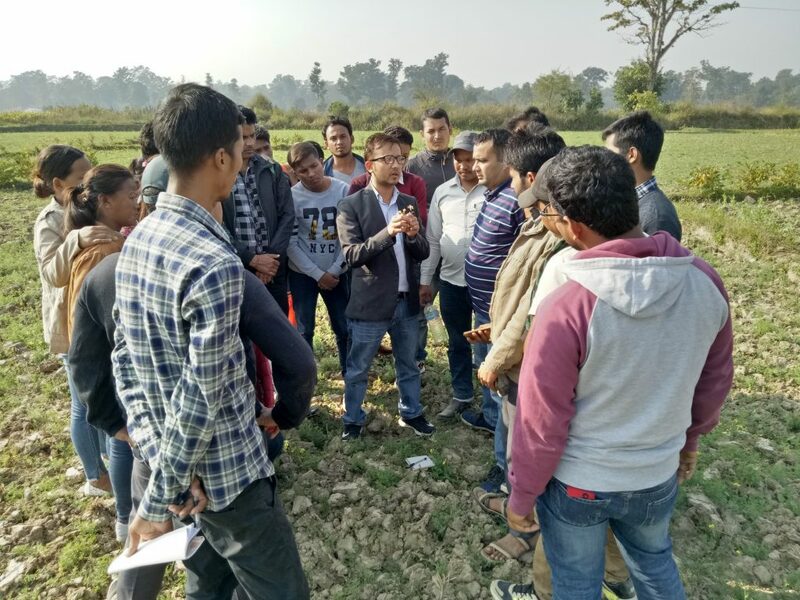 In November 2017, the Cereal Systems Initiative for South Asia (CSISA) engaged Dr. Bas Kempen of ISRIC – World Soil Information to provide a 5-day, hands-on training on digital soil mapping to 17 participants from Bihar, Andhra Pradesh and Odisha. Held at the Andhra Pradesh Space Applications Centre in Vijayawada, the training focused on capacity development and the generation of fine-scale digital soil maps at state and district levels using local data. The training started by covering the essentials of ‘R,’ which is a useful, free statistical software. The group then learned about quantifying and modeling spatial variation with a variogram, followed by discussions about geostatistics and a machine learning algorithm called ‘random forest’, a powerful algorithm to model the predictive relationship between the soil property of interest and a (large) set of environmental covariates. Next, the participants focused on data preparation, which included organizing soil sample and covariate data, creation of a prediction mask, creation of a covariate stack and the regression matrix (soil sample data set with covariate data associated to each sampling site). The participants worked on a hands-on data preparation exercise using a soil sample data set from Bihar. The latter part of the training was dedicated to validation and a hands-on DSM exercise using local data. On the last day of the training, the participants finalized and presented their maps, energized that they had produced digital soil maps using local data. The workshop concluded with the identification of follow-up actions that can lead towards the better use of spatial data analytics and DSM methods for bringing improved soil fertility management to scale. In January 2018, to reinforce the skills taught by Dr. Kempen, CSISA engaged Dr. David G. Rossiter, Adjunct Associate Professor at Cornell University and Guest Researcher at ISRIC, to provide follow-up training on advanced spatial data quality assessments, cleaning and curation, as well as to provide direct mentorship to DSM trainees on the improvement of their ‘first generation’ digital soil maps. First generation maps for soil properties such as critical micronutrients like Zinc and soil pH have been produced and are being validated against field data. Implications for insights into efficient soil sampling at scale are being derived from the maps while critical use cases such as the deployment of predictive maps for precision nutrients management at scale are being evaluated. 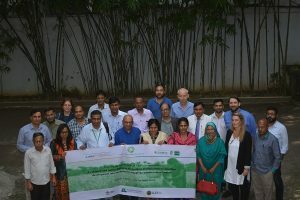 In partnership with state government agencies and the Bill & Melinda Gates Foundation, CSISA will continue to provide training and support to these initial participants as well as others, working to expand DSM capacity in India for the efficient and rapid scaling of soil fertility recommendations for farmers. DHAKA, Bangladesh (CIMMYT) – In South Asia, the population is growing and land area for agricultural expansion is extremely limited. Increasing the productivity of already farmed land is the best way to attain food security. 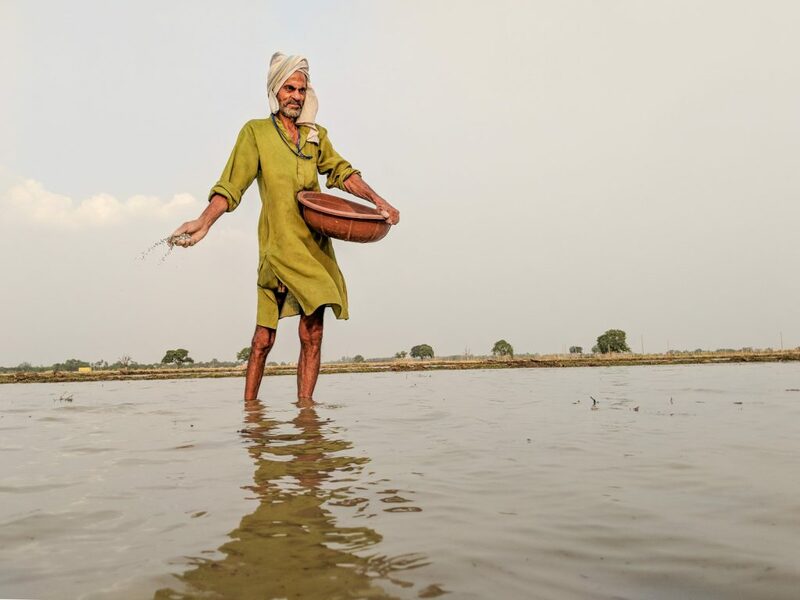 In the northwestern Indo-Gangetic Plains, farmers use groundwater to irrigate their fields. This allows them to grow two or three crops on the same piece of land each year, generating a reliable source of food and income for farming families. But in the food-insecure lower Eastern Indo-Gangetic Plains in Bangladesh, farmers have lower investment capacities and are highly risk averse. Combined with environmental difficulties including ground water scarcity and soil and water salinity, cropping is often much less productive. Could the use of available surface water for irrigation provide part of the solution to these problems? The government of Bangladesh has recently promoted the use of surface water irrigation for crop intensification. The concept is simple: by utilizing the country’s network of largely underutilized natural canals, farmers can theoretically establish at least two well-irrigated and higher-yielding crops per year. The potential for this approach to intensifying agriculture however has various limitations. High soil and water salinity, poor drainage and water logging threaten crop productivity. In addition, weakly developed markets, rural to urban out-migration, low tenancy issues and overall production risk limit farmers’ productivity. The systematic nature of these problems calls for new approaches to study how development investments can best be leveraged to overcome these complex challenges to increase cropping intensity. Policy makers, development practitioners and agricultural scientists recently gathered to respond to these challenges at a workshop in Dhaka. They reviewed research results and discussed potential solutions to common limitations. Representatives from more than ten national research, extension, development and policy institutes participated. The CSISA-supported workshop however differed from conventional approaches to research for development in agriculture, in that it explicitly focused on interdisciplinary and systems analysis approaches to addressing these complex problems. Systems analysis is the process of studying the individual parts and their integration into complex systems to identify ways in which more effective and efficient outcomes can be attained. This workshop focused on these approaches and highlighted new advances in mathematical modeling, geospatial systems analysis, and the use of systems approaches to farmer behavioral science. Timothy J. Krupnik, Systems Agronomist at CIMMYT and CSISA Bangladesh country coordinator, gave an overview of a geospatial assessment of landscape-scale irrigated production potential in coastal Bangladesh to start the talks. For the first time in Bangladesh, research using cognitive mapping, a technique developed in cognitive and behavioral science that can be used to model farmers’ perceptions of their farming systems, and opportunities for development interventions to overcome constraints to intensified cropping, was described. This work was conducted by Jacqueline Halbrendt and presented by Lenora Ditzler, both with the Wageningen University. “This research and policy dialogue workshop brought new ideas of farming systems and research, and has shown new and valuable tools to analyze complex problems and give insights into how to prioritize development options,” said Executive Director of the Krishi Gobeshona Foundation, Wais Kabir. Workshop participants also discussed how to prioritize future development interventions, including how to apply a new online tool that can be used to target irrigation scheme planning, which arose from the work presented by Krupnik. Based on the results of these integrated agronomic and socioeconomic systems analyses, participants also learned how canal dredging, drainage, micro-finance, extension and market development must be integrated to achieve increases in cropping intensity in southern Bangladesh. Mohammad Saidur Rahman, Assistant Professor, Seed Science and Technology department at Bangladesh Agriculture University, also said he appreciated the meeting’s focus on new methods. He indicated that systems analysis can be applied not only to questions on cropping intensification in Bangladesh, but to other crucial problems in agricultural development across South Asia. The workshop was organized by the Enhancing the Effectiveness of Systems Analysis Tools to Support Learning and Innovation in Multi-stakeholder Platforms (ESAP) project, an initiative funded by the MAIZE CRP through the International Maize and Wheat Improvement Center (CIMMYT) and supported in Bangladesh through the Cereal Systems Initiative for South Asia (CSISA). ESAP is implemented by Wageningen University’s Farming Systems Ecology group and the Royal Tropical Institute (KIT).